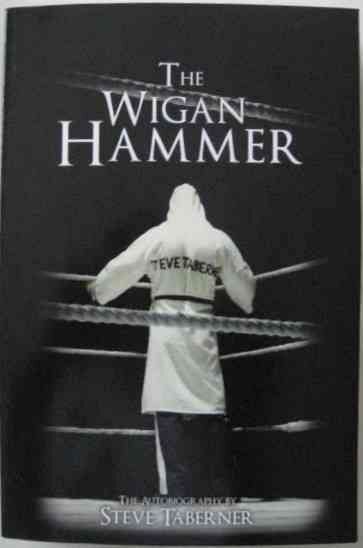 First edition first print paperback of THE WIGAN HAMMER (The Autobiography) by Steve Taberner and published by AuthorHouse in 2012. Signed on the front endpaper to a previous owner by Steve Taberner (author), John Atkinson, Howard Brown, Phil Glover, (fighters) John Blackledge (referee) plus two others I am unable to identify. The book is in near fine condition with no more than light handling and storage wear. Internally the pages are clean and tight and there are no tears or other inscriptions. 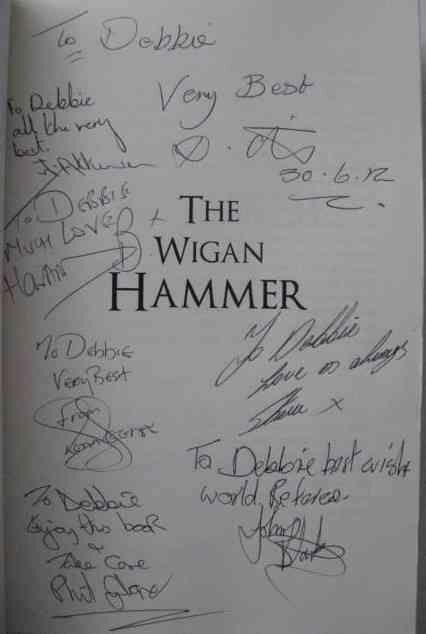 The Wigan Hammer is an inspiring true life story of a developing young adult who is suddenly drawn into a kickboxing career from an unusual meeting with a local fight promoter. Not only does this present a chance to fulfill some of his childhood fantasies, but also an opportunity to overcome his boyhood fears. A tough environment that will test all that men fear 'the power of the mind' that plunges him into a world of fighting where he doesn't really belong.